"A stunning value in world-class Syrah is this effort from Richard Perry. Floral, tar, camphor, blackberry, and cassis aromas jump from the glass of this dense ruby/purple-colored 2004. Velvety-textured, opulent, and full-bodied with layers of fruit and depth, it should drink nicely for 5-8 years." - Robert M. Parker, Jr.
A gorgeous Syrah made from the southeast sector of NapaValley at an 800 foot elevation (the dominant soils are white volcanic ash and rocky red volcanic deposits), this 325 case cuvee was aged 18 months in French oak, of which 40% were new. Smoky fried bacon aromas intermingled with blackberry and currant fruit, tar and a hint of toasty vanilla jump from the glass of this dense, ruby/purple-colored 2001. Rich, expensive and medium to full-bodied, with well-integrated wood, acidity, tannin and alcohol. It will drink well for 5-7 years. Elegant, rich and deeply concentrated with direct spicy plum and pepper notes, finishing with a twang of cigar box and espresso, with flavors that keep on unfolding. Drink now through 2007. 250 cases made. 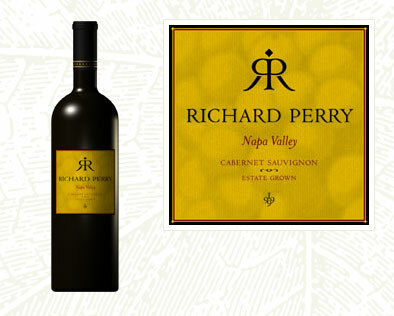 90 POINTS - 1997 Richard Perry Cabernet Sauvignon weaves together a pretty array of ripe plum, currant, black cherry and mocha-flavored oak, turning smooth and supple, with polished tannins and wonderful length. 92 POINTS - 1998 Richard Perry Cabernet Sauvignon is very focused and complex, with rich and supple flavors of currant, mocha and coffee, wrapped in firm tannins. See article in Wine Spectator Archives : New Wines, New Faces: Richard Perry Helps Put Coombsville on the May for Napa Cabernet - July 31, 2001.